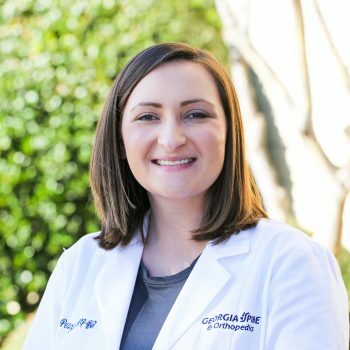 At Georgia Spine & Orthopedics our practice consists of staff members dedicated to your spine health. Our staff is friendly and welcoming, they will make sure you feel comfortable while visiting us. We strive to provide you with personal one on one service that’s specific to your health needs. 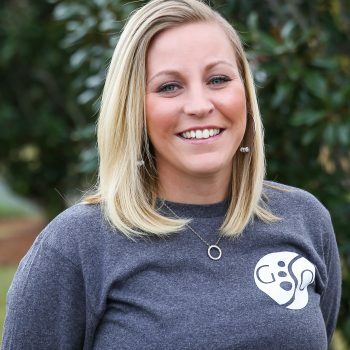 Jessica has been with Georgia Spine & Orthopedics since June 2017. 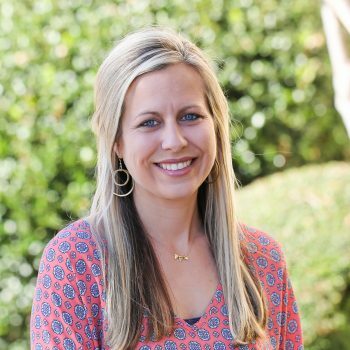 She received her undergraduate degree in nursing from Georgia College and State University and went on to South University to become a Family Nurse Practitioner. Jessica was a travel nurse all over which has given her experience with many specialities and types of patients. Her love has always been in the field of orthopedics, which is why she has chosen to be part of an orthopedic spine practice. Jessica feels that spine surgery is fascinating and very rewarding, especially knowing that she can helped fix someones source of pain. 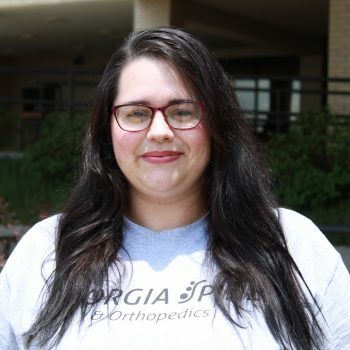 During a typical day at Georgia Spine & Orthopedics, Jessica enjoys seeing and treating spine patients as well as being part of the hands-on surgical team. Jessica learns quickly and is motivated to help patients. In her spare time, she enjoys learning new things, reading, and spending time with her family. Katie joined the spine family in November 2015. She has enjoyed learning about the non clinical side of orthopedic surgery. She really enjoys seeing the journey of each patient as they join our practice. Seeing the smiles and happiness from patients that have relief after surgery is the best part. Katie enjoys spending time with her family. Lindsey joined Dr. Jeshuran in March of 2011. 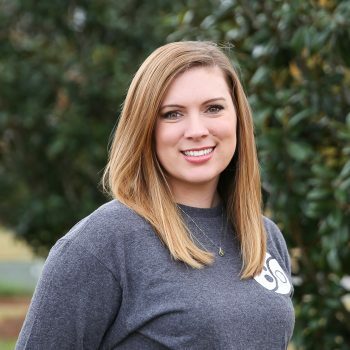 Lindsey began working in the medical field as an orthopedic technician and became interested in spine. She helps our patients schedule their surgeries and get everything arrange so it is not stressful to the patient. 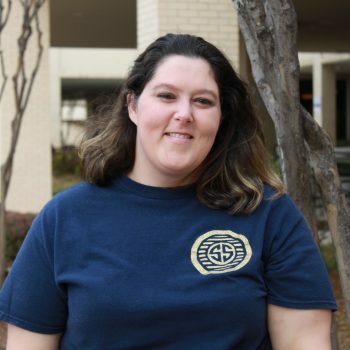 Lindsey loves that she is constantly learning new things and enjoys her work family. In her spare time, Lindsey loves to hang out with her family and bake. Katie joined Dr. Jeshuran in February of 2011. 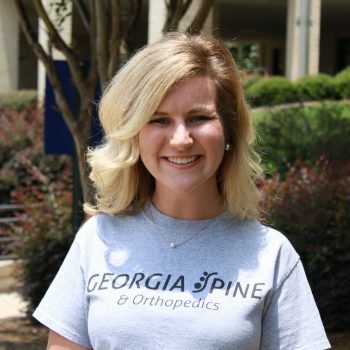 Katie began working in the medial field as an orthopedic technician and became interested in spine. She enjoys helping patients at their visits and helping patients with the journey to getting their life back. Katie loves the challenge of working in the field of spine and that everyday holds a new surprise. She enjoys spending time with her family and reading books. 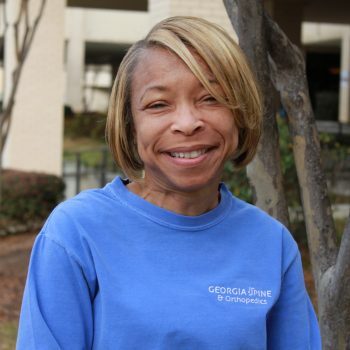 Phyllis joined the Georgia Spine & Orthopedics team in December 2017. She comes to us with extensive knowledge of pre-certing diagnostic studies and surgeries. She enjoys making the process for our patients easier. In her spare time she spends time with her family, travels and listens to music. Dani joined Georgia Spine in June 2018. The best part about her job is helping people and making them smile. She has a passion to make a difference in the world. She is the oldest of two children, very close with her parents, and has two dogs and a pig as pets! She enjoys the outdoors, shopping, and the beach. 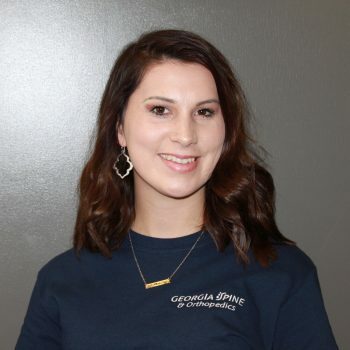 Jessica joined Georgia Spine in July 2018. She is our new patient coordinator and coordinates incoming referrals. She enjoys interacting with patients on the phone and being the first point of contact. She likes to let patients know that they will be well cared for when they come to us. In her spare time she enjoys traveling and spending time with her children. Marla joined our spine family in August 2018. She is a certified medical assistant for our nurse practitioner. She came to us first as a medical assistant intern and we couldn’t let her go! She was so helpful and learned quickly! She is very detail oriented and takes time with patients. In her spare time she enjoys spending time with her family and her fur babes. Kathleen joined our team in December 2018. She comes to us with a wealth of knowledge and a long history of working in the radiology field. She is a sweet and kind person that enjoys interacting with patients. In her spare time she enjoys spending time with her family and fur babies.